Don't you just hate them days when you find a bag floating in the sea that just happens to contain your doppelgänger? Yep, me too. 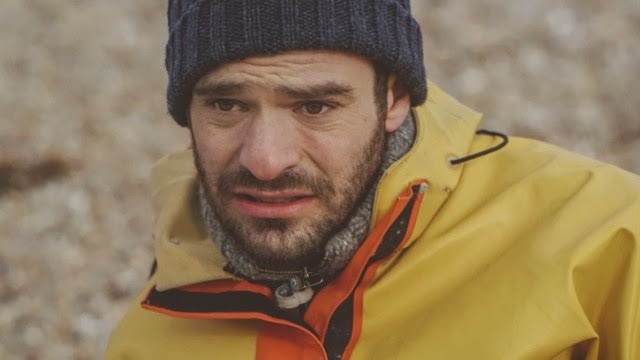 Matthew and the Atlas's latest video takes a dark turn when Charlie Cox (Boardwalk Empire, Downton Abbey) discovers such a thing whilst working as a lonely fisherman. Set on the Sussex coast, renown for its barren beaches, the clip acts as the perfect accompaniment to the tracks plaintive persuasions. With a folk-centric charm Matthew and the Atlas manage to mould softly plucked guitars with more weighty percussion in an almost dream like manner. You can watch the Neil Coxhill directed video above now. Pale Sun Rose will be released on 24th Feb via Communion Records (available as a limited edition 'Rose' coloured 7" Vinyl which you can Pre-order here) with their debut album set to follow in April 2014.